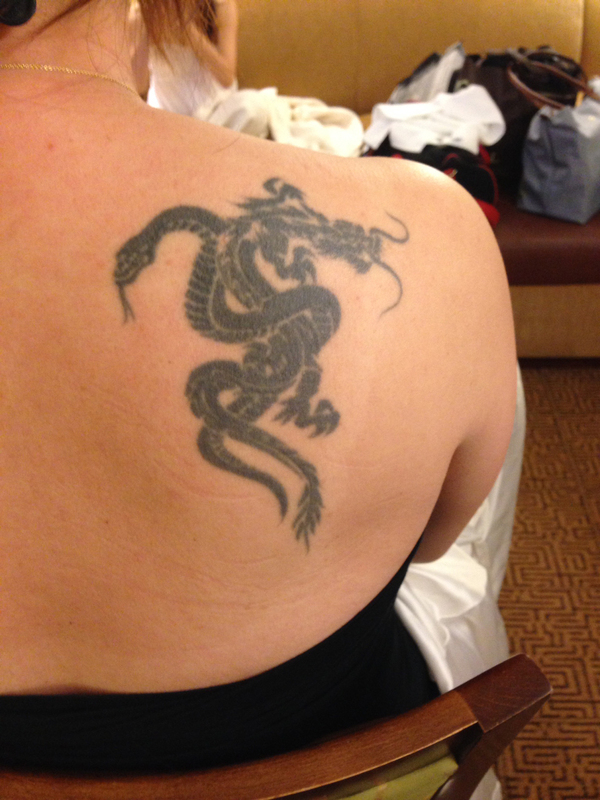 Do you think your tattoo may not be suitable for your event? Our Temptu Certified makeup artists are trained to help cover-up your ink. Your big day is approaching and for a variety of reasons, you want to have your tattoo covered. There are many tattoo cover-up kits sold online, but do they actually work? Most kits supply a cream to cover the tattooed area. Many factors can cause undesirable results, such as smearing or smudging. Some of which may include the oils in your skin, perspiration and humidity. The last thing you want is getting makeup on your dress and/or guests that come in contact with you. Our artists use high-quality dura airbrush makeup and a special color balance technique to cover-up your unwanted tattoo. Please contact us to schedule a consultation with one of our artists. Will it cover my tattoo completely? Tattoo cover-up is done with applied makeup. We will be able to cover only the color, but not the texture. As a result, you may see the shape of the tattoo if the area is raised. Will it stay on ALL DAY? Yes. The covered area can last up to 2 days if it is well taken care of. How do I care for my cover-up? Avoid soap, lotion and oil on the covered area. Lightly pat the covered area if it gets wet. Do not rub. Apply powder as needed. Avoid coming in contact with alcohol. The consumption of alcohol may affect the area as you perspire. How do I prepare for the cover-up? The skin will need to be clean, as well as shaved for best results. How do I remove the cover-up afterwards? Use baby oil and rub gently until the makeup starts to dissolve and the tattoo is revealed. Wash the area and moisturize. You may also use 70% alcohol with a cotton ball for quicker results, if you do not have sensitive skin.